I am one of these people that has a set routine before bed that I try to follow as religiously as possible. However it means that I can take aaaaages to get ready for bed, as my long suffering boyfriend well knows! But I actually enjoy doing it; it really helps me wind down and it’s nice to have a bit of “me” time after a busy day. However it wasn’t until one night not long ago, when my boyfriend commented on how many products I’d used on my face, that I actually sat down and thought about how many I do use – and so this blog post was born! Generally I’ll start off by removing my eye makeup with Garnier Simply Essentials 2-in-1 Makeup Remover. I like this because it doesn’t contain any alcohol and is suitable for even sensitive skin. It does a pretty good job of removing that stubborn Benefit They’re Real mascara too!! 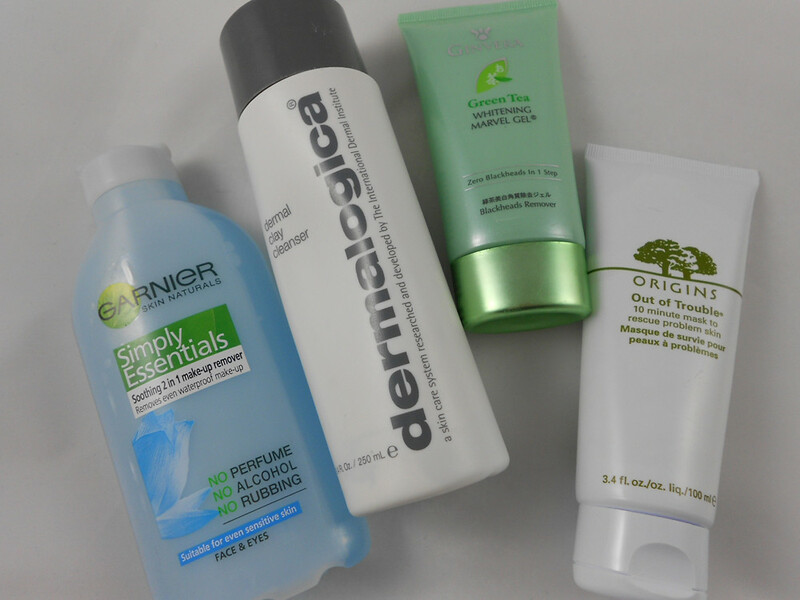 I then double cleanse with Dermalogica Dermal Clay Cleanser, which is great for oily skin like mine. Twice a week I exfoliate using Ginvera Green Tea Whitening Marvel Gel. This is my favourite exfoliator by far – it’s gentle yet is great at sorting out any areas of dryness and my skin looks brighter and refreshed after use. Plus who can forget a good old face mask? Once or twice a week I’ll pop on something to help calm and soothe my breakouts, such as Origins Out of Trouble. It reduces redness and inflammation and I’ve noticed a slight reduction in size too. 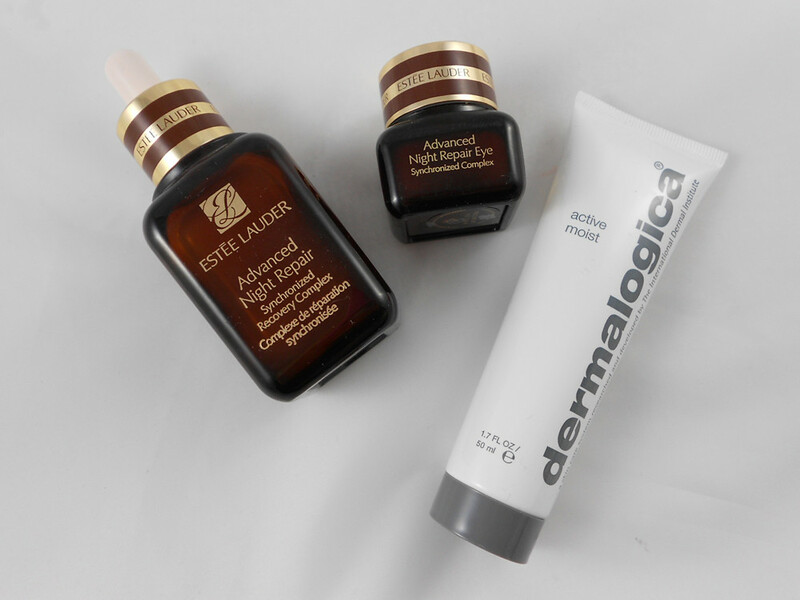 Out of the bathroom and into the bedroom, I’ll sit and apply Estee Lauder Advanced Night Repair followed by the ANR for eyes. The latter I’ve used for a couple of years and I think it’s the only eye cream that’s made a difference to the area under my eyes in terms of texture, hydration and darkness. The facial serum I’ve been using since the beginning of January and I love it. It just makes my skin look AMAZING. It looks hydrated, fresh and healthy. Plus it’s fantastic at reducing and healing spots, so I haven’t been using any separate spot treatments. Hopefully in the long term it will help reduce breakouts and my existing scarring. I let it sink in for about five minutes and follow with Dermalogica Active Moist moisturiser. The next lot of products I will usually skip if it’s a late night, but sometimes bedtime is the only time I have to use them so I try not to! I exfoliate my lips with Betty Bouche by Betty Buff Lip Scrub in Strawberry Sauce and then moisturise them with the 100% organic Figs and Rouge Rambling Rose Lip Balm. I’ll also treat my hands with Dr Organic Coconut Oil Hand and Nail Cream, which absorbs super fast. I then give my cuticles some extra TLC with Burt’s Bees Lemon Butter Cuticle Cream. Finally I’ll apply a generous helping of Soap and Glory Heel Genius before popping on some bed socks! 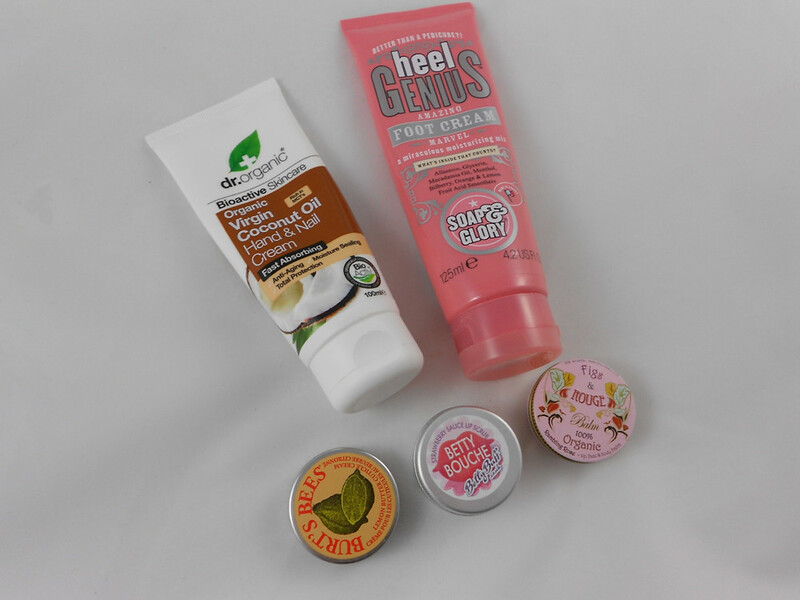 These are all great products, which do exactly what they say on the tin; I highly recommend! 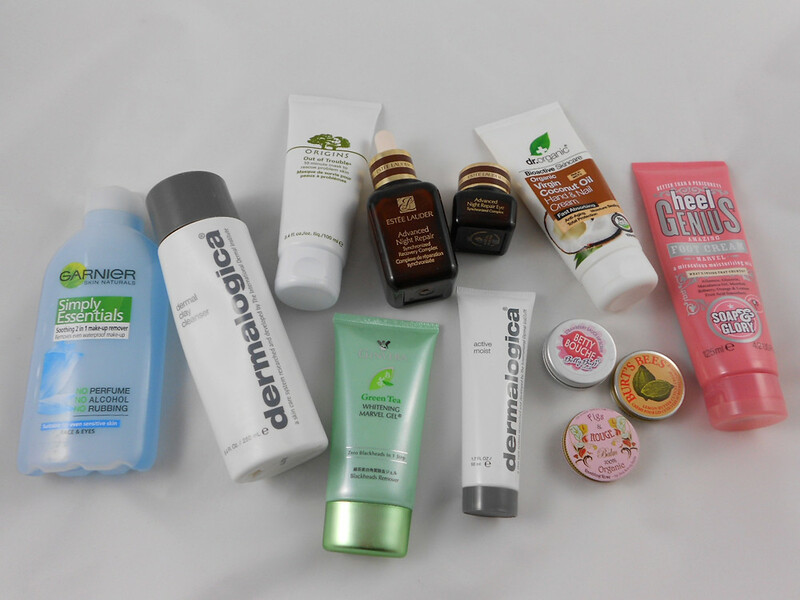 So oh dear – what’s the total… in one night I’ll use up to 12 products before bed! And that’s not including if I have a bath first!! No wonder my purse is always empty. Please tell me I’m not alone in my night time beauty operation – how many products do you use before bed? Thank you very much to Helen for letting me guest post on her wonderful blog – I hope you enjoyed reading! Please feel free to pop over and say hi on either my blog Ramblings of a Beauty Bird or on Twitter @beauty__bird. 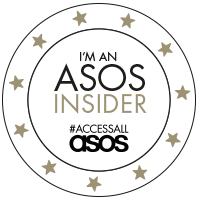 Thanks to Sasha from Ramblings of a Beauty Bird for guest blogging for me! I really appreciate it! Please do remember to check out her blog and twitter! She's a joy to talk to and her blog is awesome! On the evening I use 5 products.